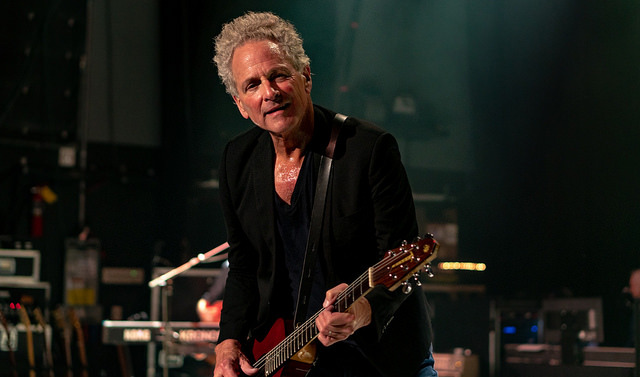 Former Fleetwood Mac guitarist 69-year-old Lindsey Buckingham had open heart surgery last week and is recovering. Buckingham’s wife, Kristen, shared the news Feb. 8, 2019, on Facebook. She said that he is at home recuperating and is getting stronger each day. She admitted that the heart surgery went well, but his vocal cord was damaged during the procedure. Doctor’s do not know if the damage is permanent and if he will be able to sing again. According to his wife, Buckingham started to experience chest pains last week and went to the hospital. After examination, emergency open heart surgery was performed. Once returning home, the vocal damage was realized. His wife said heart issues run in Buckingham’s family. His father died at 56 years old and brother at 46 years old from heart ailments. In 2018 Buckingham was fired from Fleetwood Mac after Stevie Nicks made it clear that she could no longer be in the band with him and could not make music if he was there. Rolling Stone reports Buckingham was unaware she felt this way and her outburst was unexpected. He wrote Mick Fleetwood saying he had been with the band for 43 years it would be wrong for the five of them to suddenly break up. He was sure they could work things out, as they have gone through difficult times in the past. Stevie Nicks and Mick Fleetwood did not see things as Buckingham did and he was fired. Crowded House’s Neil Finn and Mike Campbell from Tom Petty and the Heartbreakers filled in. Buckingham filed a lawsuit and it was settled out of court in 2018. Recently Buckingham has been playing solo gigs supporting his latest album. His wife said her husband’s upcoming tour “Solo Anthology – The Best of Lindsey Buckingham” will be put on hold indefinitely so he can heal.